We’re all familiar with average and above average hotels. Sometimes it’s the only option, if you’re travelling with a budget or a short stay and need a place to crash. But one thing we’re probably not too accustom to is strange hotels. Strange in the sense that it’ll be made from the remains of something which was previously not a hotel, or the exterior and interior is so random that you wouldn’t even notice it to be a hotel. 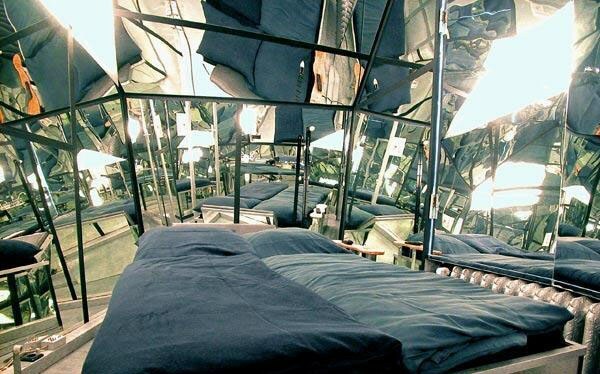 If you’re keen on exploring strange and wacky hotels then this is the perfect list for you, however, if you, like many prefer normal hotels without any unexpected thrills, it’ll probably be best for you to avoid these when travelling. Here is a list of the top 10 weirdest hotels in the world, and where they can be found if you’re interested in visiting, or avoiding.